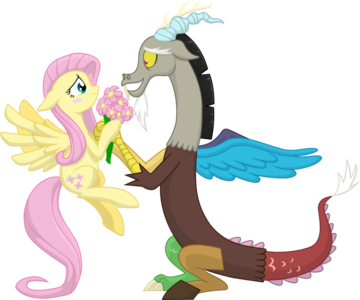 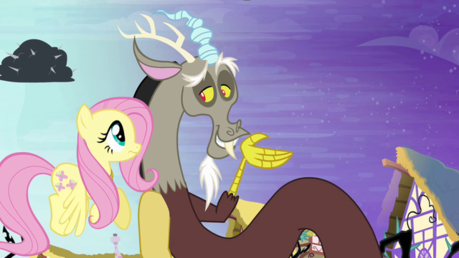 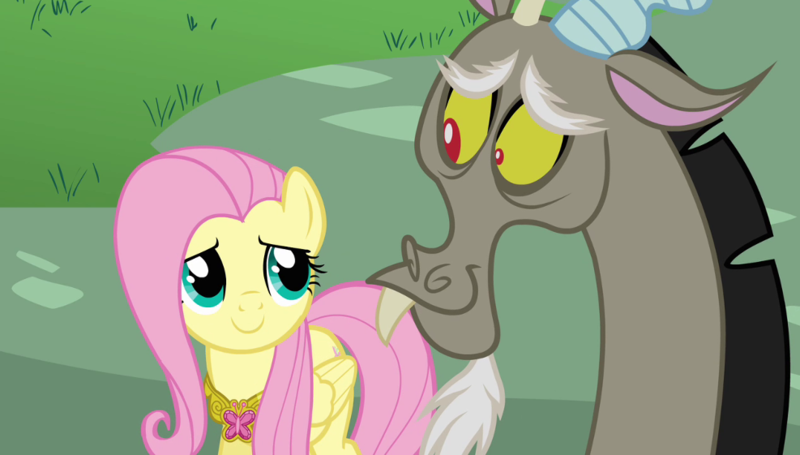 Choose your favorite picture of Fluttershy and Discord together,post it here and tell me why the pick you choose is your favorite. 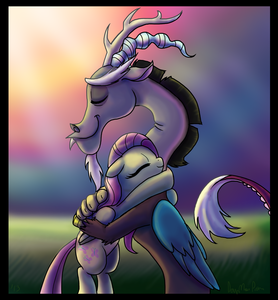 I like this pic because they're really adorable friends. 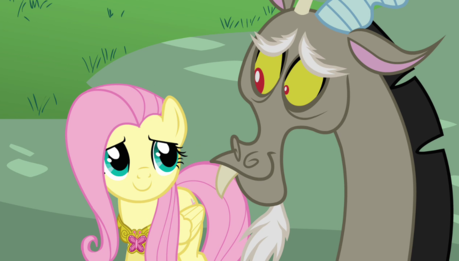 And also how cute they're both smiling. 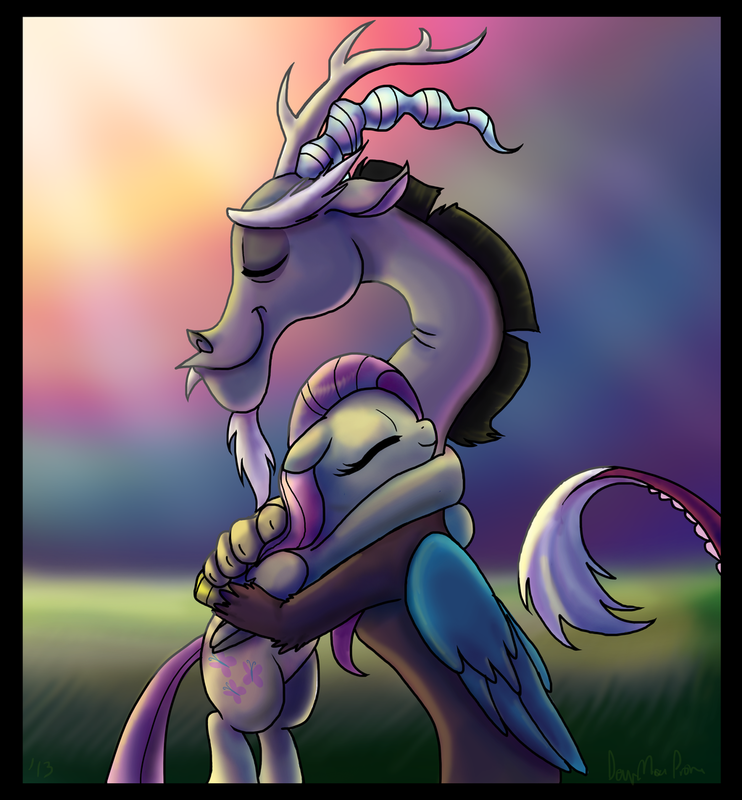 I chose this picture of them because they're very special characters in my opinion. 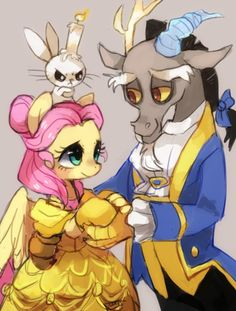 I like this pic of them because it's cute how they're dressed up as Belle and the Beast from Beauty and The Beast. 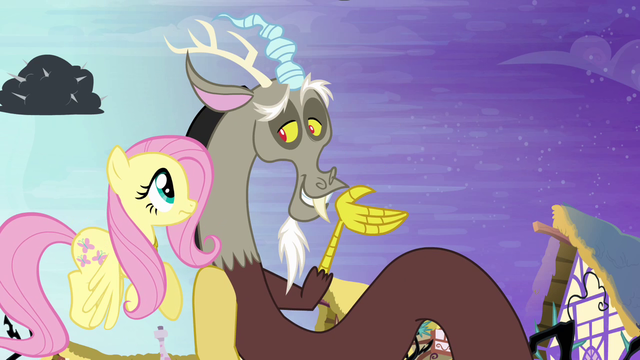 I like this picture of them because it's cute how Discord is taking care of Fluttershy when she's sick.